For three generations, Eusebius Biotteau has passed on his knowledge and his love of wine to his sons and grandsons. The vineyards and wine production remain family owned and operated to this day. The Loire creates a region of privileged winemaking climates and terroirs along the shores of this UNESCO-recognized river. Located in the heart of the Loire Valley vineyards. The family strives to produce wines that capture the beauty of this landscape- full of charm and delicacy. 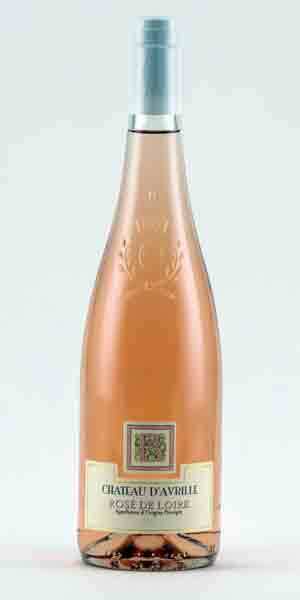 This rose from the Loire Valley region offers lots of fruit aromatics and flavours with moderate acidity and a dry palate. It is a blend of Cabernet Franc, Gamay and Grolleau Noir grown on sandy and clay soil. In the glass, note a raspberry tinged wine, with ripe strawberry and lifted pink grapefruit aromas. The palate is light, fresh, fruity and dry.